Photo credit thanks to the Torres Family. Thanks to Tony Sahagun for the article find. 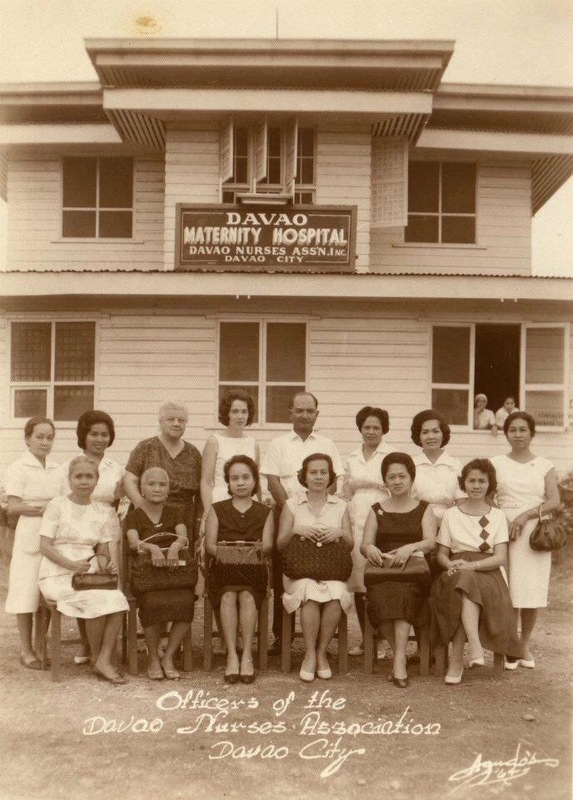 With the inauguration today (July 5, 1952) of the Davao Maternity Clinic on Leon Ma. Guerrero street, the dream of the Davao Nurses Association finally becomes a reality. Thanks to the vision, perseverance, foresight, and untiring efforts of the members of the association, Davao will have in its midst another testimonial of progress. The moving spirit behind this project are Doña Gabriela Walstrom, Judge C. Maceren, Mrs. Georgina C. Roque, Mrs. Consolacion Ledesma, and the other members of the association. Doña Gabriela, a well-known Davao philanthropist, has been closely knit with the growth of this gigantic project. It was through her inspiration that the local nurses pushed through the establishment of the maternity hospital in spite of difficulties along the way. Her cash donations put the maternity clinic on its feet. Judge Cirilo Maceren is the adviser and consultant of the association, he having been a nurse way back in the past. He is one among those responsible for binding the members into one compact, strong and united body with no other motive but to serve the public. It was through his unremitting efforts that the association was able to secure the necessary funds which were needed in the construction of the maternity hospital. The idea had its inception way back before World War II when these civic-spirited individuals saw the need for a modern maternity hospital where indigent mothers could be accommodated. But, the war thwarted their good intentions. After liberation, the members of the association lost no time in putting their resources together, and at the first opportunity, they launched a campaign for a maternity hospital. Responding enthusiastically, civic organizations business firms, and civic-minded individuals kept a steady flow of donations in cash, equipment, food, etc. Benefit dances, programs and similar other activities were held to step up the fund raising campaign. On October 28, 1950, a “Hawaiian Fete” was held by the association of which Miss Hilda Walstrom, daughter of Dona Gabriela, was crowned “Princess.” In August of 1951, Miss Gladys Price was crowned ‘‘Lakambini” at a “Pista Sa Nayon.” In April, 1952, Miss Annie Javier was crowned “queen” during a barn dance. All these affairs proved highly successful, and brought in large sums for the DNA’s maternity hospital fund. With Doña Gabriela and Judge Fernandez acting as sponsors, the cornerstone of the present maternity hospital was laid at impressive ceremonies on Nov. 12, 1951, the first anniversary of the Davao Nurses Association. Work on the building started in April, 1952, and on June 30, the upper story and part of the first floor, was finished and made ready for occupancy. Funds for the construction of the building was partly financed with pork-barrel allotments from ex-Senator Mariano J. Cuenco. The building, as it now stands, costs P18,000. Posted in davao, davao of the past, old davao, Uncategorized and tagged davao, davao history, davao of the past, old davao. Bookmark the permalink.